This discussion addresses the unique aspects of federal government contracting that will yield a successful plan and more importantly a successful execution of that plan in the federal contracting venue. Marketing, advertising, competitor analysis and financing must be addressed. Free articles on strategic planning and developing a marketing plan are at the “References” Box Net Cube at the top right margin of this site. They address evolving an operations vision for an enterprise showing its potential to present to a banker or to an investor. It may assist in visualizing business growth to look at an example of how someone else addressed a given topic. Product entrepreneurs all face the same challenges. Those who succeed recognize they need to visualize themselves in the product development business, structuring an enterprise, generating a business plan, protecting intellectual property and then seeking industry partners and investors to bring the product to market. In the process, copyrights, patents and royalty issues may come into play and development and distribution agreements are formed. Pricing is finalized based on cost and expense projections and competitive factors unique to the company as negotiation results are achieved with industry teaming partners, developers, manufacturers and distributors. 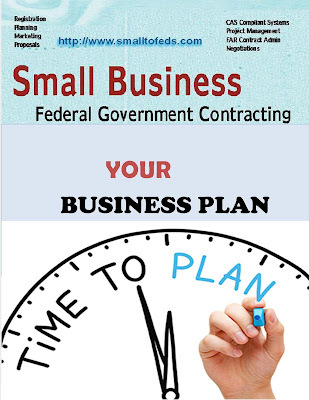 Service contracting to the federal government is a natural venue for small business. It does not require a product with a niche market or capital intensive manufacturing facilities. Service contracting does require skilled management and labor resources capable of performing a scope of work for which the government has identified a need and for which outsourcing to an industry contractor has been selected as the means to fulfill that need. The venue demands strong human resources management, industry teaming and an enhanced business system to price, account and bill on a job cost basis under government service contracts. Utilize the below link to register your company. It provides excellent guidance and background, as well as access to the PDF file on NAICS Codes which are critical for you to choose before you begin the registration process. Give these some careful thought when selecting them. If there is a chance your firm may wish to be involved in a field, put the code in your registration. No one will question your qualifications at this point. That comes later during proposals. Note the requirement for a DUNS number up front. You may already have one. If you do - use it. If you do not, follow the instructions on obtaining a DUNS free at the Dunn and Bradstreet web site. When you have completed your registration at the link below you will received a Government CAGE Code, uniquely identifying your firm and its location as a government contractor. As a small business becomes known in the federal government contracting community, successful marketing of sole source or group-designated business becomes easier, but it is always a challenge due to the need for taking early action in windows of opportunity. Find those windows and communicate capabilities to the decision makers and industry team members who can help you. 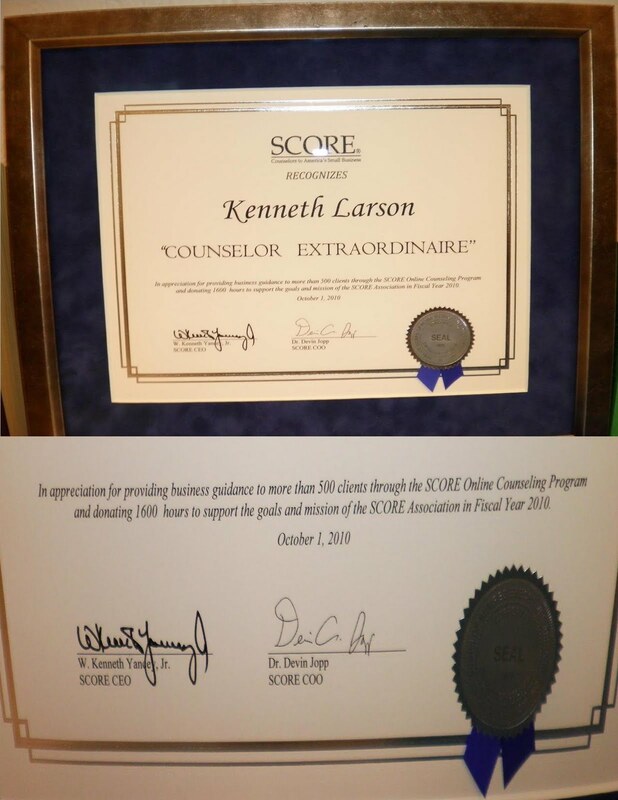 If you are eligible for set aside designations make small business set asides or sole source procurements key elements in your marketing plan. Be straight-forward and honest with industry teaming partners. Give it a best shot as a prime or a sub but involve the government contracting officer to resolve industry teaming disputes that may damage a past performance record. Exclusivity is the practical way to go on any given program. Team early and exclusively and be a winner. Reputation is key, ethics count and customers as well as the industry are observing. Waiting for a contract award to achieve a government contracting business process is not advisable. A win may not happen at all without addressing the structure and process requirements in your proposal to convince the customer his business environment is understood. This article will discuss a framework for a small enterprise to develop a business system in service contracting, which is the most frequent venue utilized to enter the government market. Government contract proposal preparation is time consuming and can be costly. Meeting the agency Request for Proposal (RFP) requirements with a responsive proposal can be well worth the effort if a winning strategy can be formulated. When considering submitting a proposal to a given government solicitation, conduct a bid/no bid exercise. This article offers guidance as a template to apply marketing operations for accommodating federal government contract proposal preparation. Proposals are special, sometimes exhausting projects, but a necessary part of doing business with government agencies. Like many other aspects of business, the more proposals that are prepared, the more that is learned and the more one can borrow from past practice for the next one. When one plans in detail to define the product or the service one reduces performance risk. Consider the advice herein when developing and maintaining your business plan. Overlay approaches unique to the company against the guidance offered and place it in the standard format for business planning. It will yield a road map for success and can be further evolved for growth. For additional details on these topics and other important information in developing and executing a government contacting plan, download the free books and supplements available in PDF format at the first, vertical “Box” in the left margin of this site.